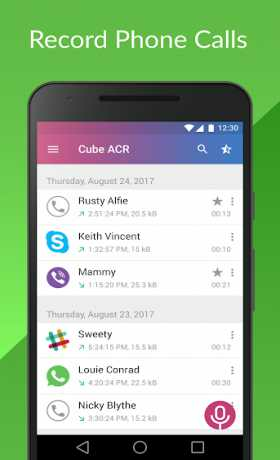 Cube Call Recorder lets you easily record your incoming and outgoing phone calls and VoIP conversations. – Currently, Jio4GVoice is NOT supported. – Not all devices support VoIP calls recording. Below you can find the list of devices where VoIP call recording feature is mostly supported. Please, add your observation and experience as comments next to a relevant device. Record your calls and conversations in the best possible quality. ★ Cloud backup. Save your call recording to Google Drive and restore them if something goes wrong. ★ Pin lock. Protect your recording from prying eyes and ears. ★ More audio formats. Record calls in MP4 format and change their quality. ★ Save to SD card. Move your recordings to an SD card and use it a default save location. ★ Shake-to-mark. Shake your phone while recording your calls to mark the important parts of a conversation. ★ Smart storage management. Automatically delete overtime old unimportant (non-starred) calls and ignore recording short calls. ★ Stealth mode. 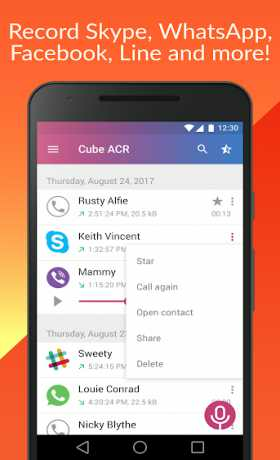 Remove Cube from the app drawer, notifications bar and hide the recording widget. ★ Post-call actions. Immediately play, share or delete a recording once you stop a conversation. 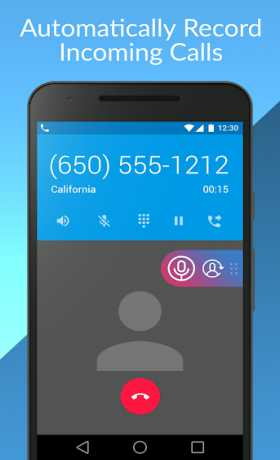 The legislation regarding phone call recording varies in different countries and states. Please, make sure that you’re not breaking the legislation of your or your callee/caller country. Always notify the callee/caller that your conversation will be recorded and ask for their permission.